I'm so glad you're here. :o) My passion for Reiki began late summer of 2008. It has changed my world. I have made many discoveries on the journey that has led me to here. Among those discoveries is a world of misunderstanding about what Reiki is, how it's used, and what is involved. That is the reason for this page. I want to help you understand this practice, what drew me to it, how I've seen it help others, and what it means for me as a reformed Christian practitioner. A vast number of questions were raised for me as I studied and have been raised by others in inquiry since. An Internet search for Reiki leaves one's mind reeling in an effort to sort out fact from fiction. It is my sincere hope to answer those questions in a way that helps you discern if Reiki is an appropriate practice for you. Please feel free to bookmark this page, and return as often as you like, to refer friends, and to e-mail additional questions. Thank you for your interest. A. The word Reiki (pronounced "ray'-key") is made up of two Japanese symbols: Rei, which generally means "universal" and specifically means "God's Wisdom" or "the Higher Power," and ki, which means "life force energy." The practice of Reiki is the prayerful practice of removing disturbances from the human energy field in order to promote relaxation and facilitate the body's natural healing processes. Reiki, therefore, is a spirtually-guided modulation of the limitless supply of life force energy that comes from God. Q. What is an energy field? A. At ts most basic level, energy fields can be understood by referring to elementary science. The smallest building block of all matter is the atom which is both positively and negatively charged. All living things are made up of an innumerable amount of atoms interacting positively and negatively. The energy created by this interaction creates an energy field. Medical science uses electrocardiograms, electroencephalograms, electroretinograms, and electromyograms to measure energy fields for diagnosis. The holistic theory behind Reiki is that the energy field can be disturbed, disrupted, and blocked by physical ailments and injuries, emotional pain, mental stress, and spiritual crisis. Reiki facilitates healing when spiritually guided life force energy is modulated by the laying on of hands. Q. What does Reiki do? A. Reiki stimulates the body's energy channels in the same way that acupuncture/acupressure and reflexology do, however, Reiki practitioners use their hands instead of needles and gentle resting rather than application of pressure. Reiki removes disturbances from the energy field in the same way that chiropractic removes disturbances from the nervous system without manipulation. Reiki is tremendously calming and soothing in the same way that massage is calming and soothing, and it is very closely related to Healing Touch, also an energy modality which is a continuing education unit for nurses, endorsed by the Holistic Nurses Association, both of which release tension, facilitating the body's natural healing processes. Reiki works through the science of resonance, so that when the higher frequency vibration through the Reiki practitioner is held next to the lower frequency vibration of the recipient, the lower frequency raises to meet the higher frequency. Higher frequency vibrations dissolve the negative and toxic energies that live in lower frequencies, making subtle shifts in the human energy field of the recipient and offering opportunity for wholeness and health. Q. Is Reiki an appropriate substitute for treatment plans prescribed by my doctor? A. No. Reiki is an adjunct therapy, to be used in conjunction with – and not instead of -- traditional medical treatments and alternative therapies as prescribed. A. Absolutely. Reiki is focused intercessory prayer. It is non-invasive, and because it is non-invasive and prayer-focused, it does no harm. Q. Are Reiki practitioners healers? A. Reiki practitioners do not claim to be healers, though by definition, it is not incorrect to use that term. Rather, Reiki practitioners recognize that God is the healer, and they are only facilitators. Through the modulation of energy into a disturbed energy field, the practitioner opens up the system for the body to heal itself to whatever degree and in whatever way is best by divine determination. Therefore, Reiki practitioners are not ever in control of how or where or when healing may occur. Their task is simply to offer their hands for service as instruments and to pray for God's will to be done. A. No. Reiki is spiritual in nature, but it is not a religion, and it does not belong to a particular religion, which is why you will find Reiki practiced by people of a variety of beliefs, just as prayer is practiced by people of a variety of beliefs. I have read books written by Reiki practitioners who are ministers in mainline churches as well as those who practice Wicca and Buddhism. Q. Where did Reiki come from? A. Japanese native, Mikao Usui, is credited with receiving the practice of Reiki on a spiritual retreat and passing it on to practitioners who now number in the millions around the world. Q. Where can I find a Reiki practioner? A. Reiki practitioners are also doctors, nurses, chaplains, therapists, pastors, massage therapists, and lay people. To date, fifty-two hospitals in the United States--including New York Presbyterian Hospital/Columbia Universiaty Medical Center, Yale new Haven Hospital and Children's Hospital--offer Reiki as part of patient care. It is also used in cancer care centers, pain management and wound care centers, hospice care, and mental health therapy. One way to find a Reiki practitioner is to go to the International Association of Reiki Professionals site (which will direct you to a wellness finder) and follow the directions to do a search. You may be surprised to discover, however, that Reiki professionals are already working in your midst. Ask around. As a member in good standing with IARP, you will find me listed there as well. Q. Are Reiki practitioners certified? A. Yes. Your Reiki practitioner should be able to provide a certificate that serves as proof of training as well as a "lineage" of their training which names each person in the line of training back to Mikao Usui. There are not currently particular standards in place for training that apply across the board, so it is important to ask questions when looking for a Reiki practitioner. Q. What kind of training is required for a Reiki practitioner to be certified? A. Reiki practitioners receive training, attunement, and subsequent Level One or Level Two certification in eight to twelve hours. Practitioners are trained and certified by a Reiki Master who has achieved a Level Three training, which usually requires at least a year of apprenticeship and documentation of treatment. Level One training centers on the history of Reiki, the theory behind Reiki, prescribed hand positions, spiritual guidance, opening and cleansing the physical body for healing, and self-care. Training includes a ritual, the purpose of which is to open, cleanse, and transform the new practitioner’s energy field. Level Two training builds on Level One training and focuses on Distant Reiki and on opening and cleansing the mental and emotional energetic bodies for healing. Finally, Level Three -- or Reiki Master -- training builds on Levels One and Two and focuses on opening and cleansing the spiritual energetic body, committing to a Reiki lifestyle and teaching that lifestyle to others. Reiki training is not medical training. It is spiritual training and awareness training. Since the Reiki practitioner is facilitating healing offered by God, expert knowledge of the body systems is not necessary. Instead, the Reiki practitioner is concerned with centering herself spiritually and opening herself to being used as an instrument. Q. Why are there different levels of certification? A. The short answer is that there are different frequencies of energy. Think of your radio dial. When you turn it to your favorite radio station, you "tune in" to a particular frequency. When you want to listen to something different, you change the station, or tune in to a different frequencies. Reiki attunements "tune one in" to different frequencies as well. A Reiki I Practitioner is attuned to a frequency that facilitates physical healing. That's because the part of the practitioner's energy field that is opened, cleansed and transformed is the part of the field that is closest to the body. It is the most basic part of the field. Training involves learning the traditional hand positions and the first of the prayers that are offered during Reiki sessions. The emphasis is on boundaries and self-care. A Reiki II Practitioner is attuned to a frequency that facilitates mental and emotional healing. The parts of the practitioner's energy field that are opened, cleansed, and transformed in a Level II attunement are the next layers which deal with one's mental processes and one's emotions. Training involves listening to one's intuition in treatment, learning the next two prayers that are offered during Reiki sessions, sending Reiki to someone who isn't present with you, and additional emphasis is offered on boundaries. A Reiki Master Practitioner is attuned to a frequency that facilitates spiritual healing. The part of the practitioner's energy field that is opened, cleansed, and transformed in a Reiki Master attunement is the outer layer. Training involves much study about Reiki from a variety of viewpoints, learning a third prayer offered during Reiki sessions, and much use and documentation of use along with discussion about your reading and experiences, depending on the Reiki Master under whom you study. Q. What does a Reiki practitioner do in a session? be present, and they are invited to pray. The recipient is assessed as the Reiki practitioner moves their hands from head to toe a few inches away from the body feeling for breaks in or congestion of the energy flow in addition to noting smooth-flowing energy. This process of assessing is called “scanning” in Reiki. Any of the above hand positions can be used with a hovering hand instead of touching, though I will acknowledge that except for the heart and the base of the spine, I find one of the most appealing aspects of Reiki Healing Touch to be the power to comfort and relax in the actual touch for those who find it to be soothing. Recipients are always asked if they are comfortable with being touched, and are encouraged to speak up if at any time a touch is uncomfortable in any way, so it can be modified for their comfort level. Q. Do I remove my clothes for a Reiki session? A. NO. Unless you are receiving Reiki from a Licensed Massage Therapist as part of your massage, you should NEVER be asked to remove anything other than your shoes, and possibly jewelry, for a Reiki session. Ever. Period. Q. Does Reiki always take that long? A. Sometimes Reiki is administered for a particular need and a full Reiki session is not necessary. Ten minutes Reiki-ing a jaw that is throbbing, an upset stomach, a distressed child, where only one or two hand positions are needed, may be all that is necessary. I also offer Reiki Healing Mini-Sessions on a chair, which are typically 20 to 30 minutes in length. The hand positions for mini-sessions are slightly different than the ones listed for a full session above. If one chooses to accept a treatment plan, Reiki sessions will incorporate story sharing as a means to reframing one's thinking and supporting the energy shifts resulting from Reiki. This will lengthen the time needed for Reiki Retreats, but the commitment will be rewarded with a stronger energetic balance over time. Q. Is Reiki an occult? A. No. Reiki is no more of an occult than Acupuncture or Chiropractic or Tai Chi. There are responsible practitioners and there are irresponsible practitioners as in any healing profession, but the practice itself has nothing to do with, and does not promote, any kind of occult behavior. Q. What is the deal with Reiki symbols? A. Reiki symbols are prayers written in traditional Japanese language. Usui taught them to his students in the same way we teach our children to pray at dinner and at bedtime. Because the Japanese language is an illustrated language, with intricate symbols instead of letters that spell words, a symbol can illustrate an entire phrase or sentence. Each symbol used in Reiki is a prayer. Reiki practitioners are praying those particular prayers when they use the symbols in the course of treatment. Some Reiki practitioners believe the symbols used in Reiki should be kept secret and only shared with Reiki practitioners upon training and attunement, but knowing the symbols does not a Reiki practitioner make. Reiki training and attunement, which can only be administered in person, is what makes a practitioner, so knowing the symbols does not interfere with practice. Q. What is Distant Reiki? A. Distant Reiki can be offered by Level Two Reiki Practitioners or Reiki Master Practitioners. In Distant Reiki, practitioners send Reiki to people and/or situations not in their immediate presence. Distant Reiki is particularly helpful for people who are dealing with a contagious illness or who are so ill that leaving home would create more stress on the system. In addition, I made the decision when I started A Place of Grace that I would not see Reiki clients in the hospital, but that I would be more than willing to offer Distant Reiki in those situations when requested. It is also helpful for people challenged by the distance between them and me. There is no place on earth where you can go that I can't send Reiki to you! Q. How much does a Reiki session cost? A. 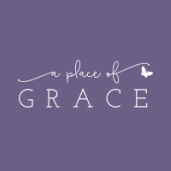 With the exception of Reiki training, A Place of Grace retreats are offering-based. Offerings are between the giver and God. This makes spiritual support accessible to people of all ages and from all walks of life. Cash, checks, credit/debit cards, and electronic offerings are all gratefully received. Offerings for Distant Reiki can be made via Pay Pal at PayPal.me/JulieGvillo . Q. Where can I go to get Reiki training? A. As a Reiki Master Practitioner and Teacher, I can train you. If you are interested in Reiki training, email me at juliegvillo.aplaceofgrace@gmail.com or call me at 618-410-5060. We will set a date for training and invite others to join us if a training is not already scheduled in which you can participate. Reiki I Training retreats (6-8 hours) are $125. Reiki II Training retreats (6-8 hours) are $250. Reiki III Training (one year) costs $1,000.